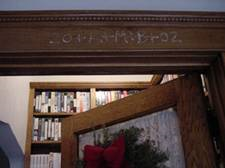 above your front door with blessed chalk. 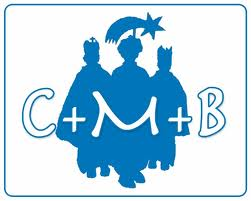 The three Wise Men, C for Caspar, M for Melchior, and B for Balthazar, followed the star of God's Son who became man. 20, two thousand and 16, Sixteen years ago. May Christ bless our home and remain with us throughout the new year. May this Epiphany Blessing be a reminder that Christ is incarnate in the love and care we manifest to each other in our ordinary daily lives together. Amen. May Christ bless this house.